Baltimore Sees Hospitals As Key To Breaking A Cycle Of Violence : Shots - Health News The city's health department wants to send ex-offenders who are trained to be "violence interrupters" to hospitals to talk with victims. Chicago has found such a program prevents repeat injuries. Every year, U.S. hospitals treat hundreds of thousands of violent injuries. Often, the injured are patched up and sent home, right back to the troubles that landed them in the hospital in the first place. Now, as these institutions of healing are facing pressure under the Affordable Care Act to keep readmissions down, a growing number of hospitals are looking at ways to prevent violence. In Baltimore, health department workers have pitched hospitals an idea they want to take citywide. The idea builds on the city's Safe Streets program, which hires ex-offenders to intervene in conflicts before someone gets hurt. They're called "violence interrupters," and they use their street credibility and deep social ties to settle fights. Now the health department is asking Baltimore hospitals to give the staff of Safe Streets access to patients who have been shot, stabbed or beaten up. The idea comes from Chicago, where the group CeaseFire is already working in four hospitals. 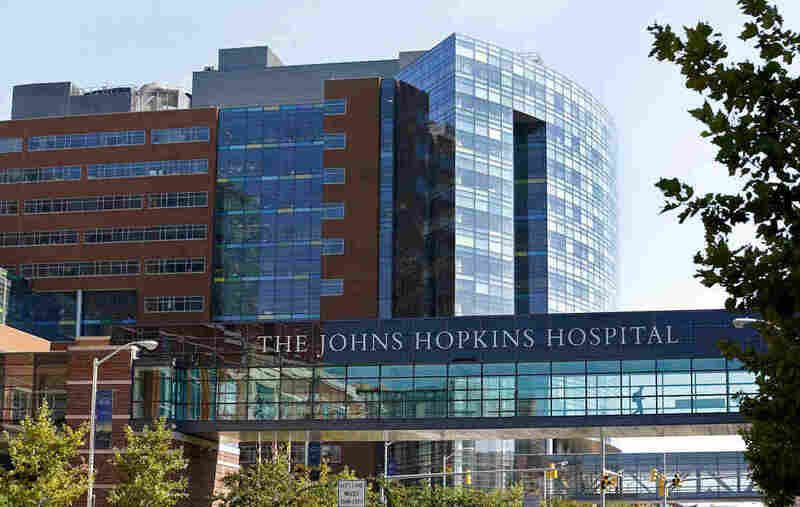 Seven years ago, Baltimore piloted such a program at Johns Hopkins Hospital. Dante Barksdale, now the outreach coordinator for Safe Streets, was one of a handful of violence interrupters trained to respond to these hospital calls. "We had Johns Hopkins IDs," Barksdale says. "I would walk through the hospital like I was an employee." When someone from the neighborhood turned up at Johns Hopkins with a violent injury, one of the hospital's social workers would call Barksdale. He'd head over and try to talk to the patient, sometimes just as the patient was coming out of surgery, or just waking up. The first aim, Barksdale says, is "to get him to buy into talking to me. Most of the time, people know who shot them. They know if they wronged somebody. I'm trying to get information so I can be calling out to my outreach workers." Barksdale's co-workers in the neighborhood would then head out to find others who were involved, to try to prevent a retaliatory attack. One big reason why Safe Streets is able to get people talking is because they do not work with the police. That's earned them a certain code of honor on the street, Barksdale says. He says that after being shot, people almost always talk. "That right there has them vulnerable, ready to talk," he says. "And then they see a familiar face. 'Oh, that's one of them Safe Street dudes. I can relate to him,' as opposed to the chaplain, the doctor, the people who don't know nothing about their world." Safe Streets outreach coordinator Dante Barksdale says right after a shooting, the injured almost always talk. "Some of them want revenge, right then and there," he says. "Some of them are afraid. They're thinking about their brother or their homeboy. 'Is my man all right? He was with me!' They're real vulnerable. They got questions." 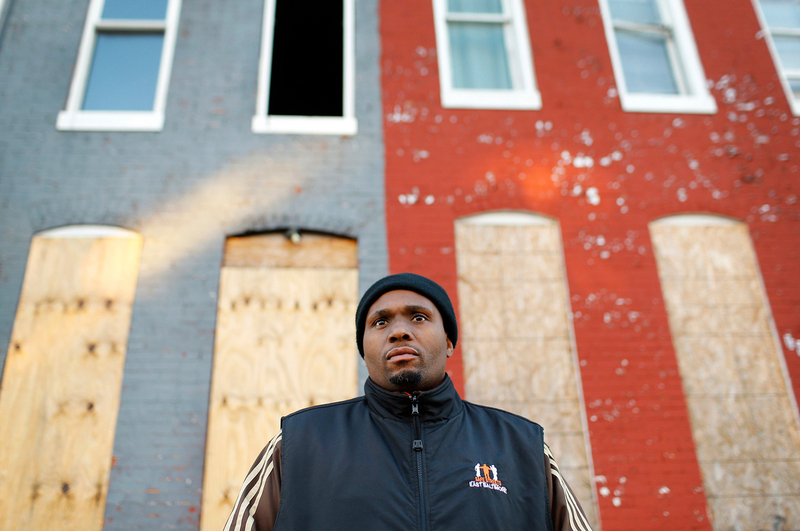 "We don't live in the neighborhood," says Carol Stansbury, director of social work at Johns Hopkins Hospital. She says the Safe Streets workers "brought the love of their neighborhood and the love of their community that we could not bring." The Safe Streets program as a whole has run into trouble a few times in Baltimore; most recently in the summer of 2015, when two staffers were arrested on gun and drug charges. Stansbury says she never had reservations about giving hospital access to the violence interrupters, almost all of whom have criminal histories. "It makes sense to me, as a social worker, to have people that have walked the walk," she says, "who certainly understand what the issues are, and the troubles, barriers and obstacles people face. They only help me do my job better." For a variety of reasons, Hopkins' collaboration with Safe Streets was short-lived. Some of the violence interrupters who were trained as hospital responders left their jobs. The work was never funded, and the responders working in the hospital were actually needed on the streets. But the Baltimore health department found the hospital responders program valuable, and is working to revive the concept, in a bigger way. The idea is to get six or seven hospitals on board, with hopes that at some point the hospitals will pay for it — to the tune of roughly $100,000 annually per institution. That would pay for two violence interrupters per hospital, plus someone to oversee the whole program. The health department would also like each hospital to dedicate a social worker to the program, to help patients with follow up treatment and social services. Several dozen hospitals around the country have violence prevention programs, but most are not staffed around-the-clock. Funding remains a challenge, with the vast majority paid for with grants or in-kind contributions. This year, the National Network of Hospital-based Violence Intervention Programs successfully pushed to have violence prevention workers recognized as health care providers, which is a key first step to getting reimbursed by Medicaid and other insurers for services rendered. There is a growing body of evidence that this type of public health intervention can stop the cycle of neighborhood violence that sends people repeatedly to the ER. The studies to date are small, proponents of these programs admit, but all the findings point in the same direction. There is plenty of evidence for the need to intervene. A study out of Detroit's Henry Ford Hospital in the 1980s is today seen as a landmark paper. Researchers tracked victims of violent crimes for five years, and found that, within that period, 44 percent suffered at least one more violent injury, and 20 percent died. A majority of these victims of violence abused alcohol or drugs, and most were unemployed. The study concluded, "Such data suggest that efforts to reduce urban violence might fruitfully be focused on the victims of violence." Dr. William Jaquis, chief of emergency medicine at Baltimore's Sinai Hospital, notes that hospitals are already spending a great deal of money on the treatment of violent injuries. "We can look at the people who are victims of violence, and we can treat them four to six times, and obviously it's got a tremendous cost to us," he says. "The first time may be a blunt injury, a strike to the head. The next time may be a knife, and the next time may be a gunshot wound. I think what we find is we spend the resources anyway. And so it's starting to look at how we spend them." In fact, his hospital already has informal ties to the Safe Streets operation in the nearby neighborhood of Park Heights; hospital staffers call Safe Streets when someone from the neighborhood turns up in Sinai's ER. Albert Brown, violence prevention coordinator for Safe Streets Park Heights, takes many of those calls. Recently, he headed to the hospital to talk with a patient who had been stabbed. After meeting with the man, he sent his colleague out to get the perpetrator's side of the story, which he wanted to relay back to the guy in the hospital. Intervening quickly is crucial. "He should be released any day," Brown explains. "So the best thing to do is to hurry up and try to get on top of it, before he gets home and any retaliation or anything like that happens." Brown's goal is to get the two men to sit down in a room and talk. The sooner, he says, the better.